Industrial & Residential Window Cleaners Southwark SE | Quality Property Care Ltd.
Meet the innovative commercial and residential expert window cleaning! 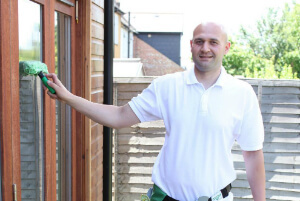 See how easy it is to get your windows sparky clean. Get some rest, while the experienced and well-trained window cleaners demonstrate their best in your property. Get in touch with us on 020 3746 4287 to receive more comprehensive information about our best rated and hassle-free services. Streaks absolutely free procedure with purified water only! No greasy or sticky stains after window cleaning anymore! Dear clients, Quality Property Care Ltd. company totally guarantee you that your property or home is under security. The staff we send to you is composed of covered and well-trained window cleaners. They are devoted, motivated and diligent. You are not even required to stay in the home in the course of window cleaning in Southwark SE. All you have to do is to keep us some parking space, so the helpful technicians can park the van with the water fed pole system. In case of any omission, we cover the damages or re-do the process for free! Your final customer satisfaction is certain. Quality Property Care Ltd. performs with all kind of business properties, all kind of domestic properties and does it at affordable rates. We add sticker removal procedure, if requested, as well as modern rope access window cleaning procedure for blocks, houses, buildings. Don`t forget to speak about, if you need urgent or same-day service. 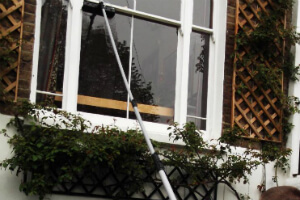 We are flexible and helpful, so we can organise the residential window cleaning service in a most easy for you way. We work 365 days per year - no exceptions either for weekends or holidays. Re-scheduling is possible and 100% free. Don`t waste time, but give us a call on 020 3746 4287! Get a 100% free estimate today! See our budget friendly rate list and get a reservation for risk-free and efficient window cleaning in Southwark SE right now!